We will be delighted to customize a cleaning plan to meet your specific needs. 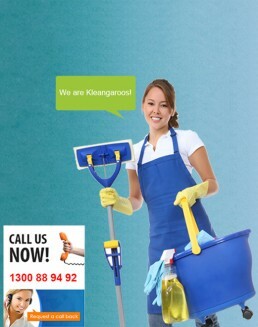 A Kangaroos home cleaner will leave your house fresh and sparkling. Every time! After all, we are only as good as our last clean! We suit your schedule for weekly, fortnightly or one-off home cleaning. Call 1300 88 94 92 to book or get an instant quote here. We provide all home cleaning products which helps you to save big on your shopping list! We clean with bio-degradable products to keep your family, home and the environment healthy. Our home cleaning team are fully insured, uniformed, highly trained, friendly and committed to giving you the home clean you want. No contracts, no hidden costs whatsoever! Only invoice when you are satisfied! Guaranteed, every time, no questions asked! If you are not reasonably happy, it’s on us!